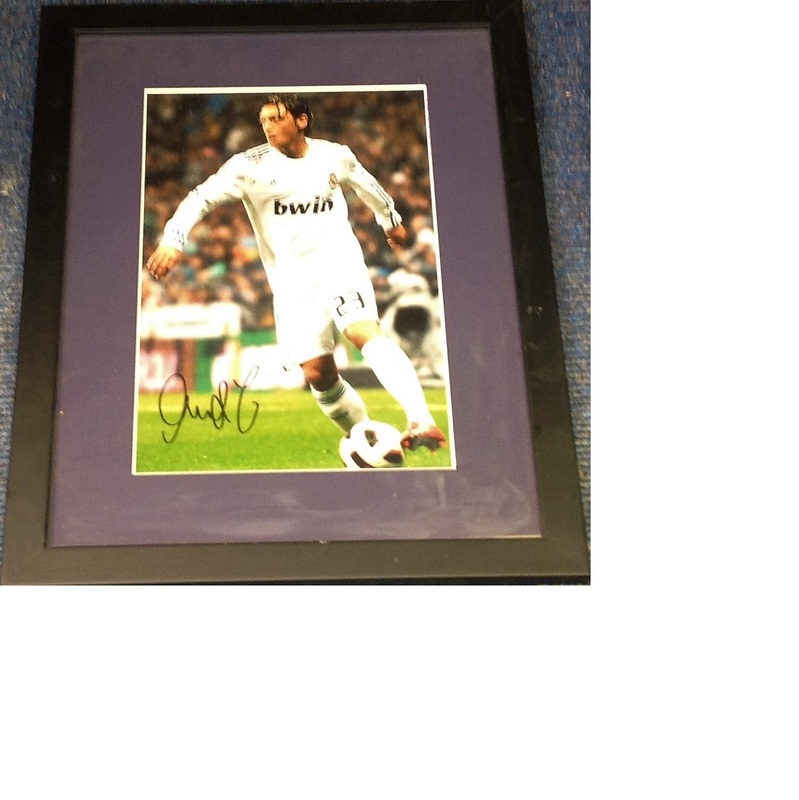 Football Mesut Özil 18x14 approx framed and mounted signed colour photo pictured in action for Real Madrid. Mesut Özil is a German professional footballer who plays for Premier League club Arsenal. He is considered to be one of the best players in the world. Good Condition. All signed pieces come with a Certificate of Authenticity. We combine postage on multiple winning lots and can ship worldwide. UK postage from £3.99, EU from £5.99, Rest of World from £7.99.